Jan Janovich Trojgo was born on the 12th of December, 1881, in the village of Progalino in Grodno Province, Russia (now Belarus), into a peasant family. He finished the Seminary and Theological Academy in St. Petersburg, with a masters degree in theology. He was ordained a priest in 1906. He served at Mogilyov, and after that was professor at the seminary in St. Petersburg. After 1914 he served in the curia of the Mogilyov Metropolia in St. Petersburg. In 1923 he was arrested and sentenced to five years in the camps. He was a prisoner at the Solovki camp. In 1932 he was transferred from there to prison in Leningrad, where he died in the prison hospital, from a stroke, on the 11th of August 1932, possibly as the result of mistreatment. He was buried under someone else's name in the Transfiguration Cemetery in St. Petersburg. The site of the burial has not been found. Fr. Jan was ready to accept death by martyrdom for the faith. During an interrogation in 1932 he said: " I count myself a profound believer, Catholic by conviction and a priest. For the sake of my convictions I am prepared to sacrifice my life. Among the faithful of St. Petersburg there is a conviction, that Fr. 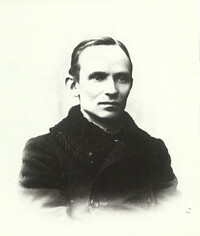 Jan Trojgo was a martyr for the faith.